Once a schematic plan is approved by the client the master plan can be completed. Master Plans for residential work can be relatively simple or involved depending on the scope of the design/project. This project was a bit involved a pool, spa, deck, patios and retention walls in addition to the plantings so the plan required a number of sheets to accommodate all the concerns involved. 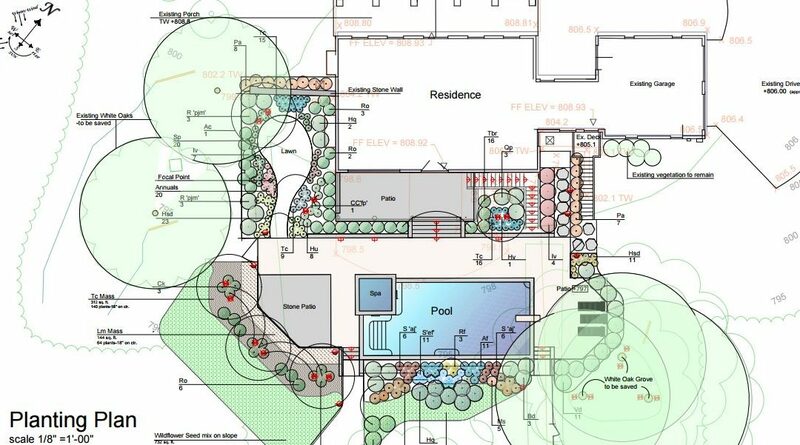 Below are the plans showing the depth of the planning process for residential landscape design.